Spousal support or popularly known as Alimony is ordered by a judge during a divorce legal case proceeding. Spousal support is considered when a spouse is facing certain hardships without financial aid. Our end customer is a licensed service provider and wanted to solve the chaos between money and divorce cases. 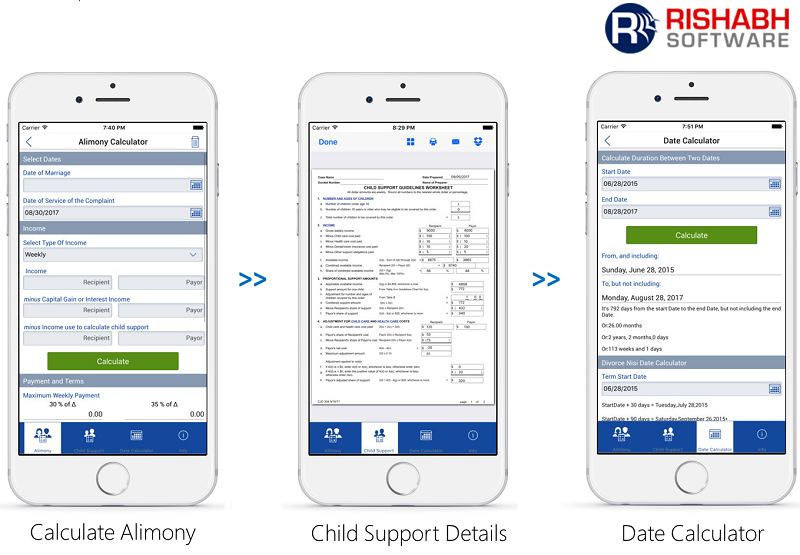 Rishabh Software developed a mobile solution to streamline the legal process for child support, alimony calculator, legal matters, parenting plans, and equitable distribution. 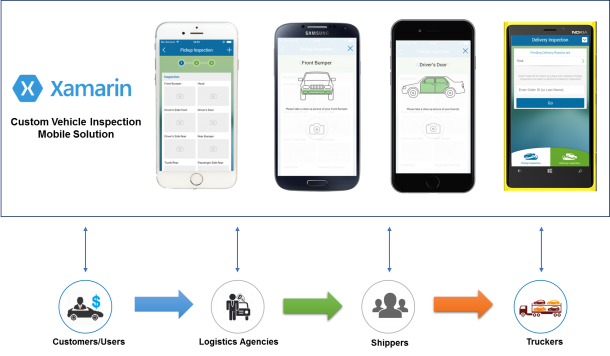 The mobile app was built using Xamarin cross-platform technology. The divorce alimony mobile app was designed for lawyers for submitting cases which can be further used by other divorce lawyers, mediators, judges and those representing themselves in the court. The mobile app has an integrated alimony calculator to estimate the duration of alimony payment, how much alimony needs to be paid, and other possible alimony types besides the “traditional” model. The estimates generated by the app are in full compliance with the Alimony Reform Act, March 2012. Apart from the alimony calculation, the mobile app should deliver estimates of child support based on the 2013 Massachusetts Child Support Guidelines. The calculation workflow first asks to enter the couple’s income with allowed deductions, and the mobile app will provide two child support estimates based on the amount of parenting time. The mobile app should have a feature to generate PDF document following the guidelines and ready for direct submission to the court for proceeding. The PDFs can also be shared via email with the judge, stored in the Dropbox cloud or can be printed for minimizing the documentation process. Initially, we developed a proof of concept application on iOS platform, and after client’s approval, we generated the code for Android platform. Code reusability was achieved with the help of Xamarin platform, saving development time and efforts.